The number one New York Times best-selling and Edgar Award-winning authors are back with a new a new novel featuring Kendra Michaels, hired gun for the CIA and FBI. Kendra Michaels and Adam Lynch are a great team. Elizabeth Rogers is one of my favorite narrators so she makes the experience and story better, even though it's already fantastic. Do I really have to wait another year to find out what happens with Kendra, Adam, Jessie and Brock End.? When Kendra and Lynch together you know it's going to be a good story. And this is a good story. It even got me a little emotional. Which made the story even that much better. I love this series probably better than the Eve series. I think it’s great that Kendra sees so much more than the others because of her past. I was a little disappointed that we didn’t see more of her & Adam’s relationship progress. It went a step farther than before but not enough. I think Iris is afraid to write romance anymore. Still a big fan, I’ve read or listened to everything she’s done & those with her son like this. I can’t say enough good things about narrator Elisabeth Rodgers, she is amazing. She makes it sounds like many are narrating. 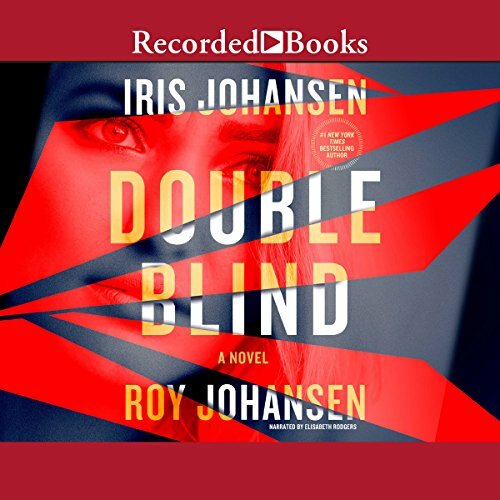 This series is by far my favorite of Iris Johansen’s books. I love the characters, the mystery and the intensity. I’ve followed the characters from day 1 and they continue to develop and “meld”. Start from the beginning; don’t miss a moment in their lives, relationships, and investigations! Roy and Iris, don’t stop now!! If you want a “woman’s book”, that assumes don’t have a brain, go for it. This story could have been good, but I think a middle schooler could have written it. And the narration was just as annoying. Won’t buy anymore of her books. I so enjoy the Kendra Micheals series! This book was no exception. I definitely recommend. I was excited about this book until the male narration came on. It was so rough and annoying I almost didn’t finish the book! When bullets were in the story, the narrator yells “BLAM BLAM BLAM”. Utterly annoying. The “chemistry” between Kendra and Flinch just was not there for me no matter how hard the narrator tried to make them sound. I was just disappointed. I’ve listened to many books. This narration was the worst. I used to love this series, but I am finding it boring now. The storyline of characters is always the same the bad guys are pretty much always the same. I think I could take that if the writing wasn’t so sloppy and lazy. Not even sure I will bother to read the next book.